Everyone said that Kevin Smith was done with Clerks and The Askewniverse - including Kevin Smith himself. But, though it failed to translate into box-office success, the high social-media presence of Tusk has evidently made the filmmaker-turned-podcaster a hot item for film financiers again - and, reportedly, he's set to use this revived relevance to bring back Dante, Randall and the gang for a third go 'round. 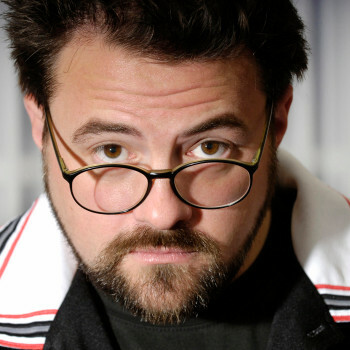 Cinema Blend reports that Smith used his own Hollywood Babble-On podcast to announce that the internet-mania for his man-into-walrus horror flick had attracted big interest (and financial backing) for a threequel, stating: "So everybody that's like, 'He failed, he failed,' thank you I failed into Clerks 3." The original Clerks, a low-budget black and white comedy set primarily in a convenience store in New Jersey, launched Smith as a filmmaker of note during the indie boom of the early 90s. After a series of films set in the same universe, Clerks II revisited the main characters later in life as employees of a fast food restaurant. There has been no solid confirmation, from Smith or anyone else, what the premise of a third film might entail - though it can be safely assumed that the writer/director's onscreen alter-ego Silent Bob would make an appearance. Also unknown is where the film would fit into Smith's current crowded schedule, which is set to include two more genre films set in Canada and a two-part TV movie about a hockey player, Hit Somebody.